Surviving the Evacuation, Book 10 is nearing completion. Called 'The Last Candidate' (unless this title is too large for iTunes), the story is set in Belfast, the Isle of Man, and North Wales during the run up to the election on Anglesey. 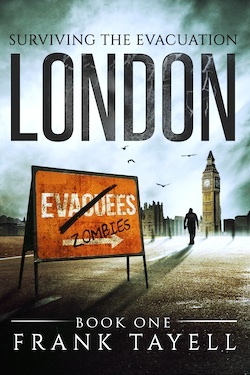 Originally, Book 10 was meant to return the narrative to Nilda et al in London, but as I was writing Book 9 I saw an opportunity to write a political thriller, but with zombies! It was too good a chance to pass up. This first election on Anglesey was meant to be a pro-forma event, a somewhat comical battle between Bill and Sholto, told as a light-hearted fireside conversation to Chester & Nilda. As this conversation developed into a novel, it took a turn for the dark (and the better). The problem I found, as I often do, is that though Bill and Sholto each have their own plans, there are other forces at play. 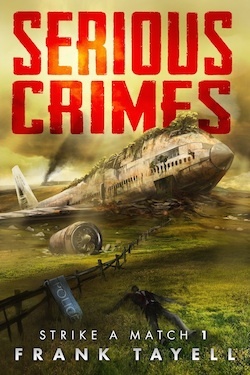 Some good (Dr Umbert & Lorraine), some bad (Markus & Bishop) and some intent on doing the best for her crew regardless of the cost (the admiral). Unfortunately, I missed my slot with my usual cover designer (I hadn't planned to write Book 10 immediately after Book 9) so I'm getting Jeff Brown to draw a scene - He's the artist who drew the covers for the Strike a Match books. This should be ready later this week. Built in 1832, it's a small castle built onto a reef, there as a refuge for any sailors whose ships founder. Perhaps it'll make it into a different book. Audiobooks - Here We Stand 1 & 2 are being recorded at the moment, and should both be ready this April.